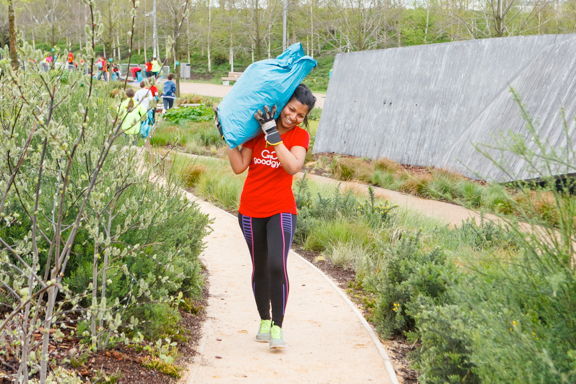 CARDIFF, MAY 23rd 2017 – GOODGYM – the community of runners who combine getting fit with doing good – is launching in Cardiff and the Vale of Glamorgan this month (May 23). Members of a new GoodGym group in Cardiff, which has a unique approach to building community cohesion, promoting fitness and reducing social isolation, will stop off on their runs to do physical tasks for community organisations and to support isolated older people with weekly social visits and one-off tasks they can’t do on their own. The group will meet every Tuesday at 6.15pm, in the foyer of the Yr Hen Lyfrgell (The Old Library) in town, before heading off for a 4km run and to complete a task for the evening. The inaugural run on 23rd May will see the runners run 2k to Canton Community Hall where they will be helping Canton Grows Wild to create a disabled access path to the gardens, plant 100 plants, pull up weeds and install a brand new sign. The task will involve the runners shifting 1 tonne of rocks and gravel using buckets and wheelbarrows for an intensive workout before running 2k back.